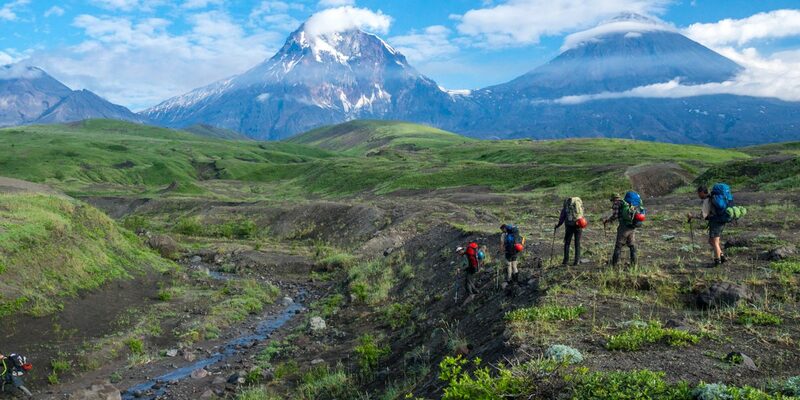 Teammate Amil took part in a recent trekking adventure to volcanic Kamchatka with expedition company Secret Compass. 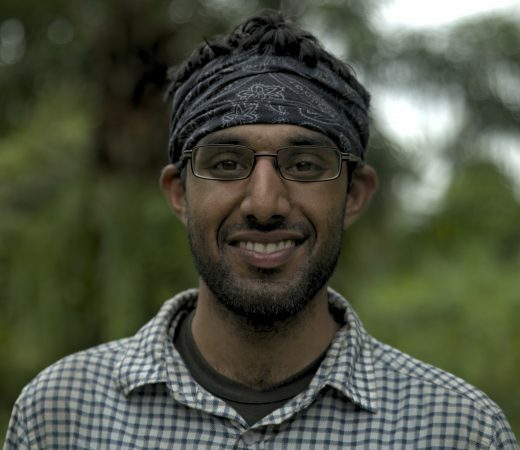 Amil talks about the reality of life on this epic expedition. I’m Amil Patel. I’m from London and I’d had quite a lot of travel experience, primarily around Central and South America, before joining the Secret Compass Kamchatka expedition. I’d climbed lots of volcanoes (including active ones! ), before going to Kamchatka. I guess you could say that I like my volcanoes. We normally wake up between 0530 and 0600 although breakfast isn’t until around 0700 ish. I’m an early riser. 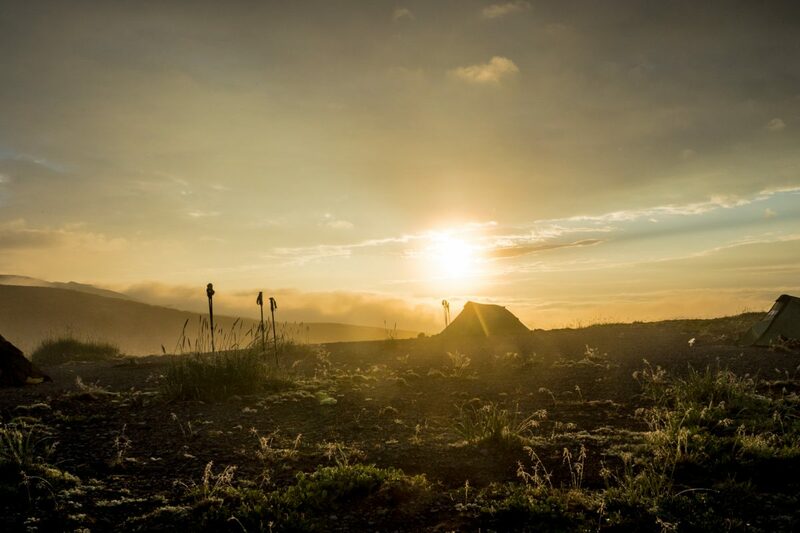 It’s spectacular at sunrise in Kamchatka with the volcanoes in the background so why lie in your tent listening to your tent mate snoring and taking in the aroma of everyone’s crusty socks when you could be outside, appreciating what you came for? It’s a little chilly outside admittedly but if it isn’t raining: it beats the tent. The morning routine consists of boiling water, drinking tea, getting some calories down you, packing up the campsite and then motivating yourself to put your 30kg rucksack on your back. That’s right, initially at least it weighs 30kg, though we soon eat through some of that weight as it’s food. What’s the pace of travel? The days themselves are quite varied depending on whether they are summit days or what I called slogathon days. 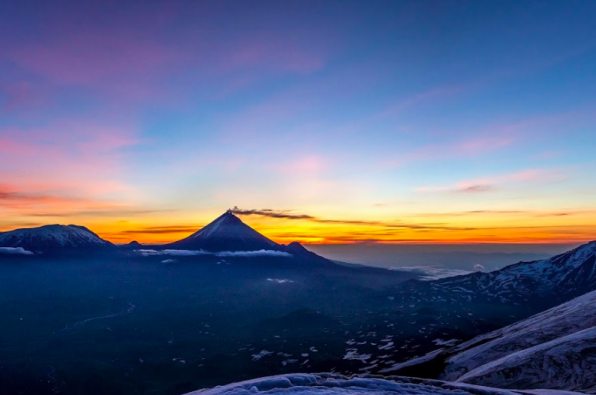 Summit days involve rising early and going up to the peaks of volcanoes with minimal weight on your back to enjoy the mesmerising views (weather permitting) of the neighbouring volcanoes. The slogathon days generally involve trekking with a 20-30kg rucksack on your back so the pace is generally a bit slower though the scenery does provide something of a distraction. Any snack or loo stops? There are plenty of snacks and comfort break stops. You might get to savour the salmon jerky as a mid morning treat. Just make sure that the bears don’t smell it, they can smell for miles you know. The loos in Kamchatka are excellent. Open on all four sides to the excellent views. All you need to do is a find a nice rock, relieve yourself and remember to burn your toilet roll afterwards. A small shovel was available to bury the evidence. 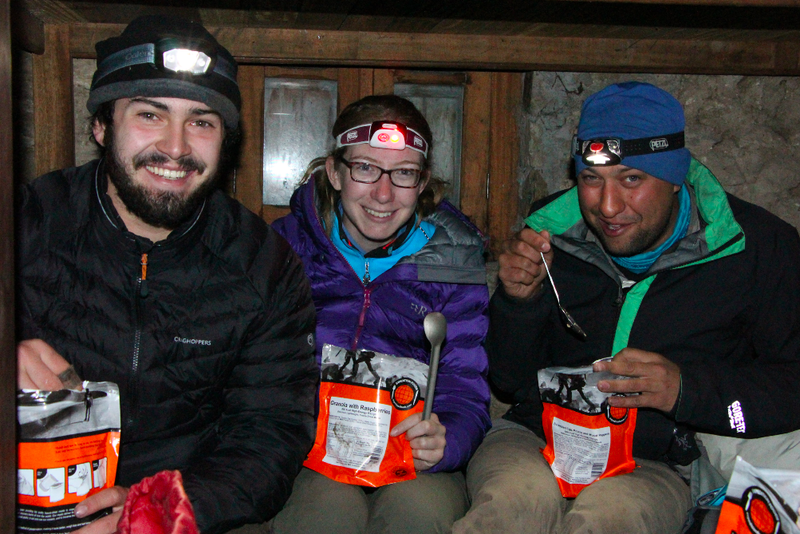 A typical lunch on this expedition might be Pepperami, tortilla with tuna, chocolate, cereal bars and water. 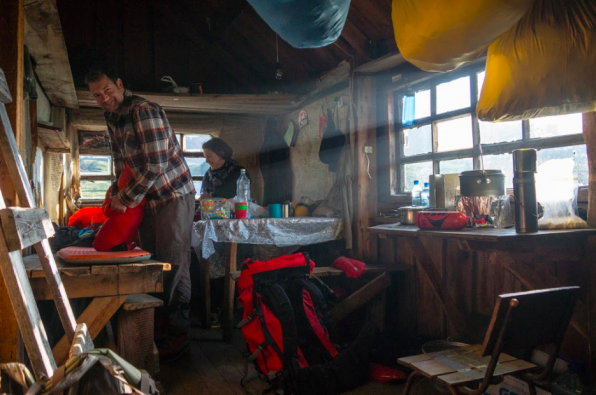 It’s not a fine dining experience but it gets the calories down you and that is what you really need and care about on an expedition like this. a few of your own favourite trail or snack bars to supplement are a good idea too so you have something to look forward to. How does the afternoon pan out? The afternoons vary depending on the type of day. If you’ve just come back from a summit you can spend it drinking tea, chatting with your teammates and enjoying a siesta. On general trekking days there is usually a fair amount of trekking to do. 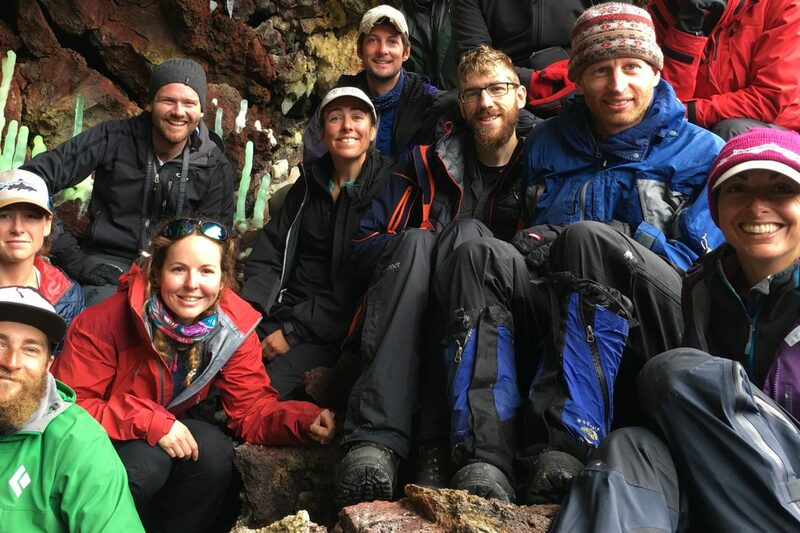 The itinerary is quite flexible with the leaders deciding where to stop and set up camp for the evening so it depends on a variety of factors including levels of team morale. 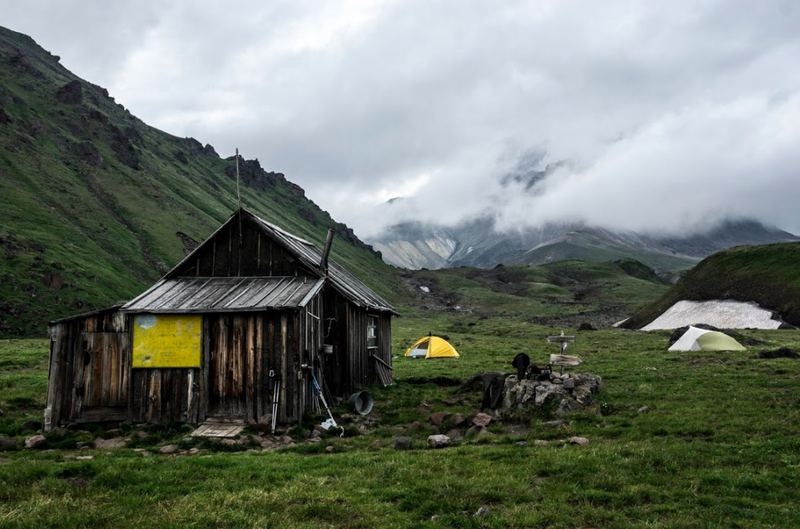 If there is a specific goal in mind for the evening or if you need to get a move on as the weather is closing in and there’s a hut a bit further away, those types of things might affect when a day is called. Does the team help out? It’s important to try to gel as a team comprising leaders, teammates and local staff, and to enjoy each other’s company. Normally you don’t have to try too hard as many teammates tend to have several things in common so the sense of camaraderie I’ve experienced on Secret Compass teams has been really positive. There are a lot of group tasks that need doing such as fetching and boiling water so everyone has to chip in. You don’t really come across many locals on this trip, apart from of the bear variety. What happens once you reach camp? Once you reach camp, you’ll spend five minutes complaining that your rucksack never seems to get any lighter and then you’ll put your tent up. People then do whatever they feel like for a bit before dinner – read, take a siesta, drink tea and talk or dry clothes off. In the evenings, that too can vary depending on the weather and the tiredness of everyone. If the weather is good people generally stand around sharing stories, getting to know each other and trading dehydrated ration packs. If it’s raining or really cold people retreat to the tents quite swiftly so a Kindle or journal is a great idea. You normally sleep pretty soundly as you’ll be really tired from the day’s exertions. How fit do you need to be for Kamchatka? I’d say more than cardio ‘fitness’ the most important thing on this trek is be able to carry around 25kg weight on your back for four to six hours. It’s not as bad as you think once you get used to it but training in advance really is required if you’re not used to this kind of thing already. As long as you’ve got decent trekking experience you should be fine. Nothing really, I like to find things out on the ground. I’ve just tell prospective teammates to be prepared for it to be tough in parts and for some bad weather. As long as you’ve got the right attitude and the right kit it’s a great trip. 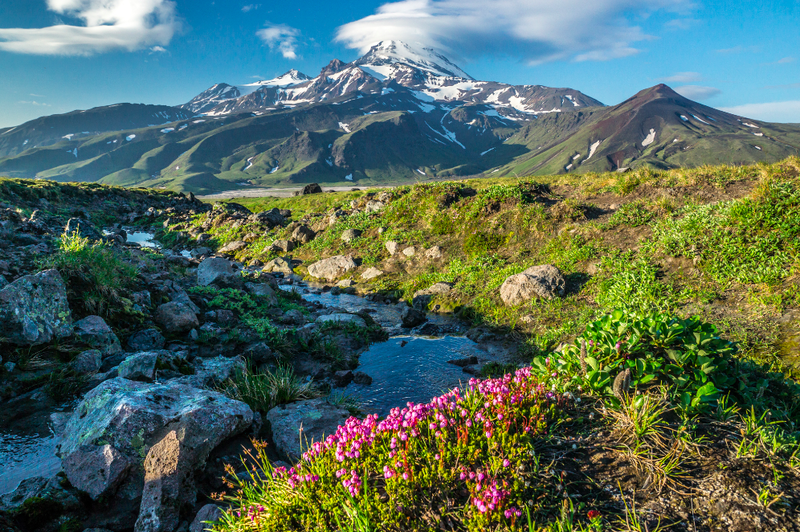 The stunning views from the volcanoes and the remoteness of the Klyuchevskaya National Park were hands down the best bits. 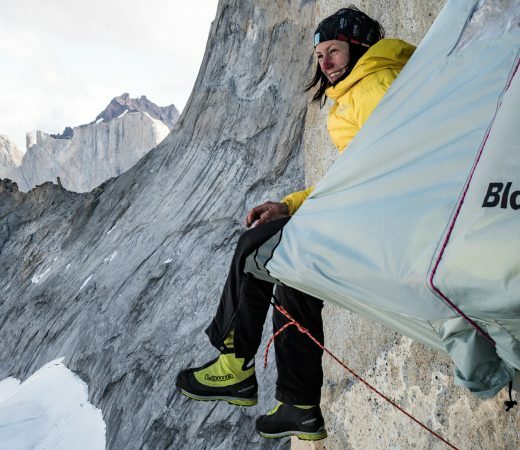 The toughest bit was the fact that this expedition is unsupported. Your backpack starts at 30kg as I say. It gets lighter but the weight on your back is hardest thing about this expedition to Kamchatka. There were a few days when it was actually quite hot! It’s something to be wary of when you’ve got a lot of trekking to do. Layers are important so you have a lighter layer if the sun does come out and stay out. Also, being in Kamchatka is like going back to the Soviet era once you get out of Petropavlosk so that in itself is a bit of a culture shock. It’s not possible to be more removed from metropolitan Moscow than Kamchatka is. My top kit tip is a long handled spoon…it makes getting to the bottom of those Expedition Foods ration packs much easier and less messy. 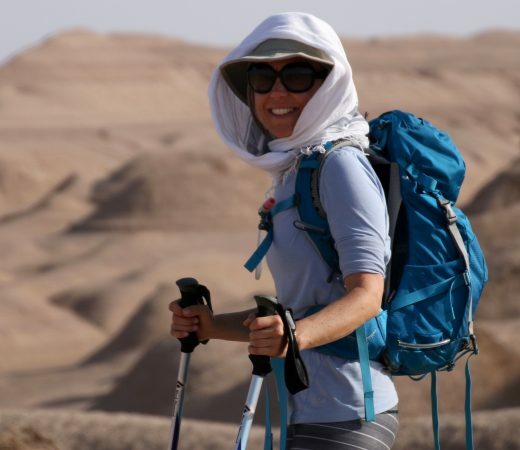 Other than that, even if you don’t like them, trekking poles are helpful when you’ve got a lot of weight on your back as they help distribute the weight. 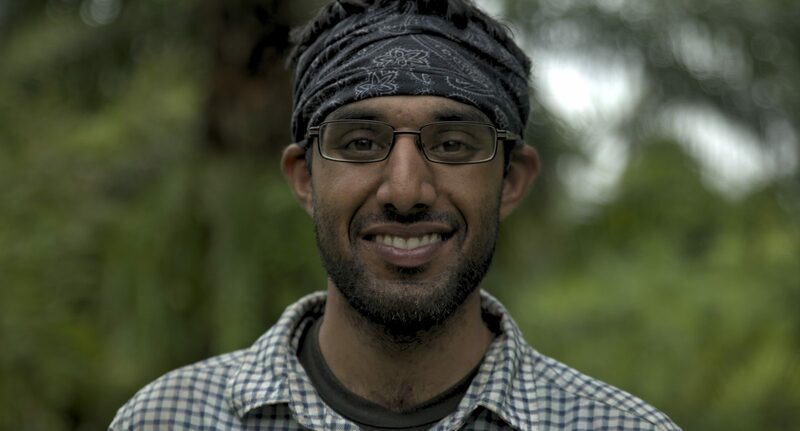 Written by Amil Patel, expedition teammate (@Secret_compass). Photography by Secret Compass (@Secret_compass).